The Living collection from Laufen features minimalist designs and defines ceramic in cubic form. Clear lines characterise this bathroom design with its strong aesthetic appeal. 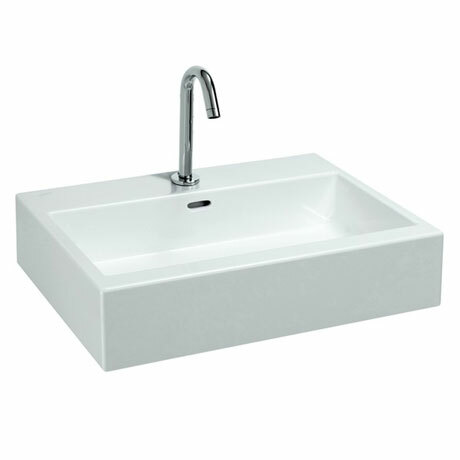 This contemporary wall mounted 1 tap hole ceramic basin is available in 3 size options and features an integral overflow. This basin is also available in a countertop option. A really nice looking & solidly built unit, only negative would be that the toilet cistern is a bit flimsy, hence the 4 for build quality.